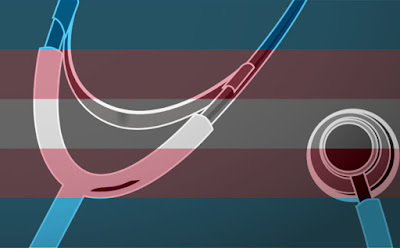 A recent study revealed that trans men are twice as likely to have heart attacks as cis men, and trans women are twice as likely to have heart attackes than are cis women. That is a troubling statistic. But what makes it more troubling is how media reports frame the issue. Bias makes us sick. For example, there is abundant evidence that facing racial discrimination damages people's health and shortens people's lifespans. This is exacerbated by the fact that people don't just face discrimination out on the streets--they face it in doctors' offices and hospitals. We are social scientists dedicated to advancing justice for people who are trans, intersex, nonbinary and/or gender nonconforming.